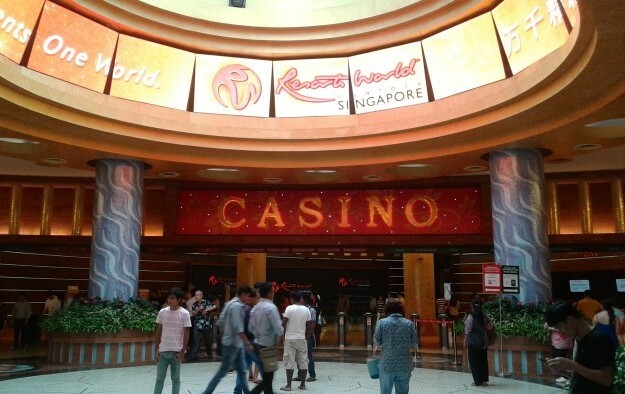 Casino resort operator Genting Singapore Ltd increased its share of the slowly-growing Singapore casino gaming market in the first half of this year, says brokerage Sanford C. Bernstein Ltd. In a Monday note the institution said it expected the operator of the Resorts World Sentosa casino resort to hang on to its gains. It anticipated that Singapore market-wide would achieve a compound annual growth rate of about 3 percent in gross gaming revenue (GGR) between 2018 and 2022 inclusive. The note also suggested Resorts World Sentosa – after playing second fiddle in the duopoly market for some time – had recently been doing a better job of driving GGR and revenue of other sorts than its rival in the city, the Marina Bay Sands casino resort, operated by Las Vegas Sands Corp.
Last month Genting Singapore reported a rise in second-quarter profit, despite a fall in revenue. Sanford Bernstein forecast that Genting Singapore’s earnings before interest, taxation, depreciation and amortisation would grow by 7 percent in the second half. The asset manager raised its rating for Genting Singapore shares to “outperform” from “market perform” in view of a recent drop in the covered company’s share price, but reduced its target price to SGD1.35 (US$0.985) a share from SGD1.37. Its note said Genting Singapore shares had fallen after the company missed market expectations in the second quarter – a performance that Sanford Bernstein blamed largely on low hold in the VIP and premium mass markets. At Marina Bay Sands, lower rolling chip volume and win percentage reduced second-quarter revenue to US$705 million, 15.5 percent below that of a year earlier. It observed that Marina Bay Sands’ adjusted property EBITDA fell to US$368 million in the second quarter, 25.2 percent lower than a year earlier. Second-quarter rolling chip volume had fallen by 32.6 percent to US$5.87 billion and the rolling chip win rate had dipped to 2.84 percent from 4.42 percent.